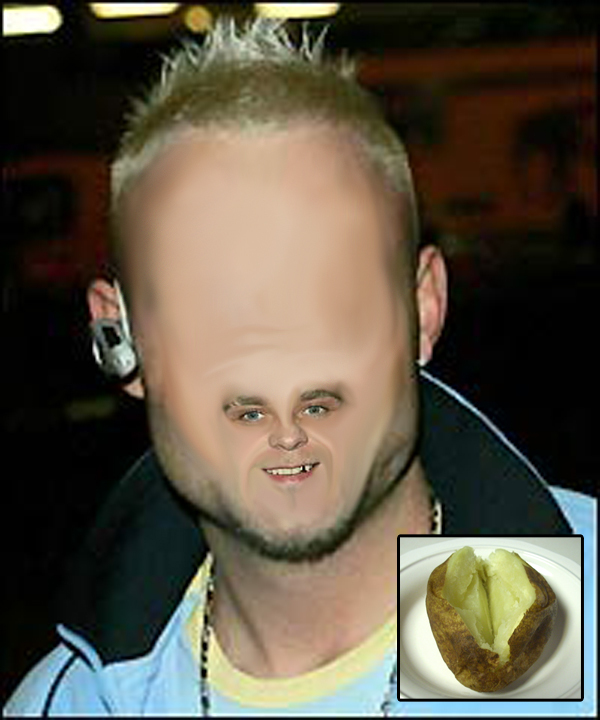 Brian Harvey has run himself over for a second time after yet another encounter with his nemesis – the baked potato. Harvey (80) consumed thirteen baked potatoes round at his girlfriend’s house, then drove off in ‘ill-spirits’ to a job interview at a local meat-rendering plant. But disaster struck when the hapless former East 17 (E17) singer projectile-vomited potato all over his windscreen, causing him to lose control of the car he was driving. Still retching, Harvey then fell out of the door of the Ford Focus at speed. Contravening all laws of gravity, Harvey then catapulted along the tarmac of the M25 and landed in front of his vehicle, subsequently running himself over again. The star broke his collarbone and two fingers of his left hand as a result of the accident. Scientists now predict that Harvey has a 1 in 30 chance of running himself down every time he eats more than one baked potato, then drives – a statistic that closely resembles the 1 in 25 chance the deceased Queen Mother was given of choking on a fish bone every time she ate halibut.